Copyright, 1894, by Spaulding & Gray. Words and Music by William Benson Gray. And though I've often tried to tell the tale. The hour I've often tried to set. To say, I love thee, Antoinette. My only thought since first we met, I love alone sweet Antoinette. I love you, not because you're fair. But for your soul so good and pure. in vain I've tried to tell my love to thee. And when the sun of life has set. 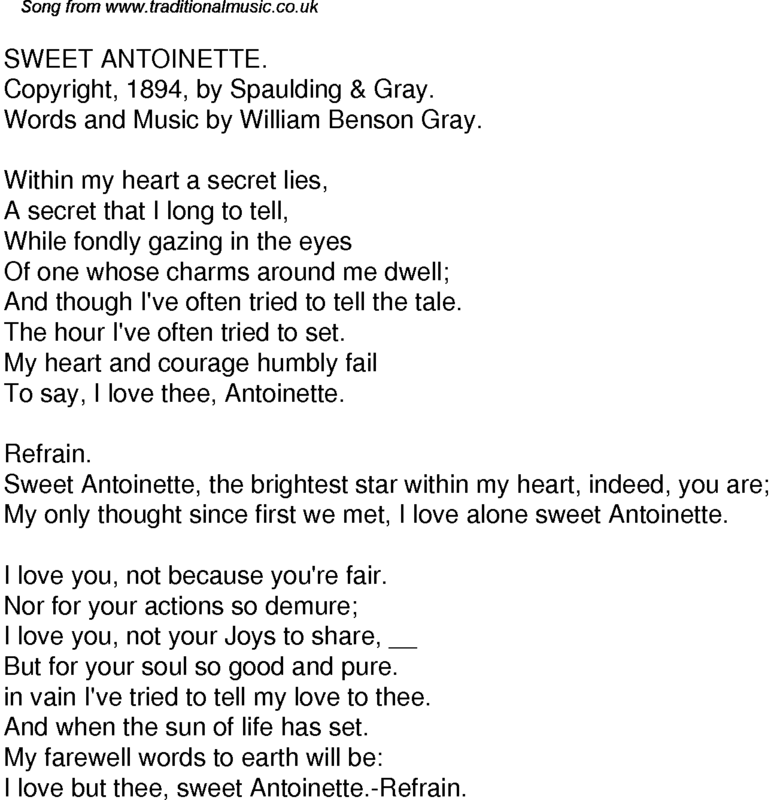 I love but thee, sweet Antoinette.-Refrain.